Kapacita pevného disku (v GB):4 000; Rychlost otáček (v RPM):7 200; Rozhraní:SAS; Formát:3.5"; Hot-plug HDD. 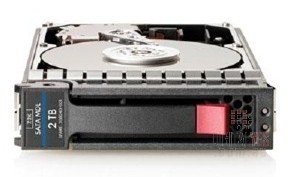 P2000 2TB 6G SAS 7.2K LFF (3.5-inch) Dual Port MDL Hard Drive. HP drives are designed and engineered to help manage data storage efficiently, simplify day-to-day maintenance, and ensure data is available when needed. Trust HP data storage devices so you can focus on more important matters of business.